Last year, Google released two products, a phablet and a tablet, which were built from totally different companies, Motorola and HTC. There were some people who didn’t understand and accused Google of greed, but there’s an explanation for the Nexus line of mobile devices. Their manufacturers have exclusive access to the latest Android version, and since last year, Google released version 5.0 Lollipop, the Nexus 6 and 9 were the first devices to run this software. Before Nexus 9, there were two other tablets: Nexus 10, created by Samsung, and Nexus 7, built by Asus. Google likes to try other companies’ ideas and HTC received a collaboration proposal. If you weren’t very interested in this tablet before and out of the blue, you decided to check for information about it, then in this article you’ll find everything you need to know about the Nexus 6. The launch price of the 16GB variant with WiFi was around 400 dollars, while the 32GB variant was 80 dollars more expensive and the 32GB LTE model cost around 600 dollars. The tablet was neither too expensive, nor cheap, but had a big problem: the competition. And no matter how much HTC tried to bring a unique tablet, it had to compete against Apple’s popular iPad Air 2 or against Samsung’s Tab S and Sony’s Z3 Tablet Compact. Eight months after its launch, the price was reduced just a little bit, so you can buy it from Amazon, where the 16GB WiFi variant costs 383 dollars and the 32GB WiFi variant is almost 40 dollars more expensive. On the 4G LTE variant you’ll pay 499 dollars, but you will use the tablet to make phone calls. 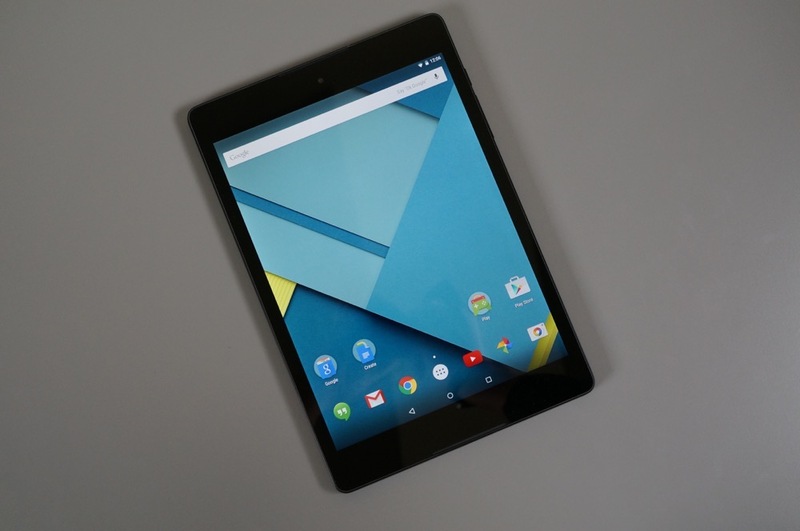 The Nexus 9 doesn’t look bad, considering that it has only a rubberized back panel. HTC didn’t build it entirely from metal, to be One M8’s equivalent, but at least there’s a delicate metallic frame running around the edges and you’ll be happy to find out that it has a thickness of only 8mm, which makes the tablet grippable. If you’ll opt for the WiFi variant, this one is lighter at 425grams, while the 3G/LTE model is 9 grams heavier. It’s interesting that Apple’s iPad Air 2 has a thickness of 9.7inches and a screen sized at 9.7inches, but it weights 437 grams. The good thing about Nexus 9’s matte plastic back is that it’s not prone to fingerprints, but you will notice that the dual speakers, placed on the front panel, below the top edge and above the bottom edge tend to attract dust. Unfortunately, there’s no card slot to expand the internal memory, and we’ve already told you what the two storage options are. The Nexus 9 has an 8.9inches IPS LCD screen, but it supports the same resolution as the iPad Air 2 tablet: 1536 x 2048 pixels, but it has more pixels per inch (281). Even so, the Apple tablet has clearer and richer colors, while the IPS technology delivers colder tones, to not tease the eyes. The screen has a 4:3 aspect ration, but when watching HD movies, you won’t be very impressed because the color reproduction is average. A more indicated tablet for watching movies is the narrower Nexus 7. HTC integrated an Nvidia Tegra K1 dual core processor clocked at 2.3GHz, but surprisingly, it was built on 64bit architecture and it took full advantage of Lollipop’s support for this architecture. 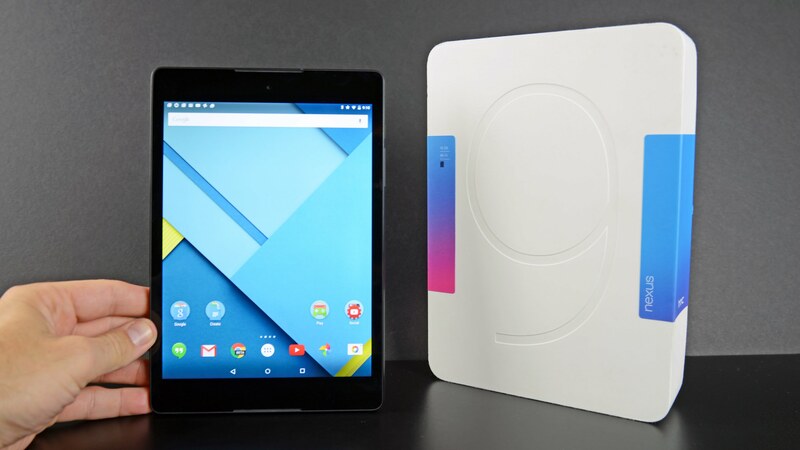 This combination worked perfectly, making the device more powerful, but in the GeekBench 3, the Nexus 9 had a 3326 multi-core score, being beaten by the iPad Air 2, with a 4500 multi-core score. The Kepler DX1 GPU, on the other hand, helped the Nexus 9 obtained a 1939 single-core score and defeated Apple’s three-core processor that scored 1815. The tablet has 2GB of RAM, which, combined with the latest version 5.1.1 (Lollipop), it offers a pretty awesome user experience. Google worked on the Material Design and brought a beautiful interface with a colorful palette. To wake up the screen, you will just double tape and if you put the tablet back to back with another device, you will be able to transfer data through the NFC option. The Nexus 9 has an 8MP back camera with LED flash, autofocus and an f/2.4 aperture, but the photos seem darker than normal and their average size is 1.25MB with a resolution of 3264 x 2448 pixels. The LED flash doesn’t help much if the subject is too far from the camera, and you’ll agree that the Nexus 7 took brighter and clearer photos. The main camera can record videos at 1080p@30fps, while the 1.6MP front camera shoots at 720p. Its capacity is 6,700 mAh and according to some tests, it lasts around 9.5 hours when browsing over WiFi, or when watching movies. The iPad Air 2 has a larger 7,340 mAh battery which lasted 10 hours under the same conditions.